Kolkata: The West Bengal Government is in the process of starting eight trauma care centres across the State. The locations would be on or near national and state highways, and other important roads. Six of these centres will be located at SSKM Hospital, Bardhaman Medical College and Hospital (BMCH), North Bengal Medical College and Hospital (NBMCH), and in Kharagpur, Asansol and Islampur. The other two will be located in Singur and Amtala. The trauma centre for BMCH has already been set up at the hospital’s Anamoy Physicians’ Clinic, about 8 km away. It has 25 beds – 10 general, 10 critical care and five step down or high-dependency unit (HDU) beds. 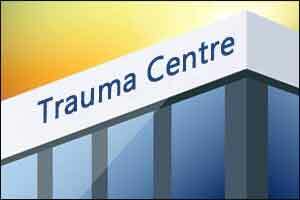 The trauma care centre at NBMCH will start in a few days, to be followed by the others. The one at SSKM will commence working in September. According to State Health Department sources, the largest centre in terms of capacity will be at SSKM, and those at BMCH, NBMCH and Singur will be of level 2 category, while the ones at Kharagpur and Islampur will be of level 3 category. As for the cost, the State Government is spending Rs 30 to 40 crore for the equipment and Rs 4 to 5 crore for building construction for the bigger trauma centres. Its excellent idea to take care the RTA persons in time.but one ensure for availability of the trauma team and equipment’s drugs 24 hrs .